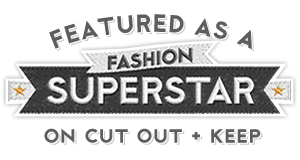 Recycled Fashion: Bayside Op Shop Tour - Win Two Passes! Bayside Op Shop Tour - Win Two Passes! Dear blog readers. Do you live in Melbourne? Or are you planing a weekend trip to Melbourne on the last weekend in October? 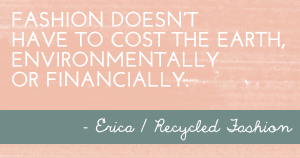 Would you like to join me on a day dedicated to recycled shopping? The next installment of Melbourne Bayside Op Shop Tours runs from 10am - 3pm on Saturday 30th October, where we visit some of my favourite op shop hang outs in Cheltenham, Mordialloc and Frankston. We are giving away a double pass* for you and a friend to join me on Melbourne Bayside's Op Shop Tour on Saturday 30th October. That's right, not just one pass, but two! The more you do, the more entries you have, and more chances of winning! I will pull the winning name out of a vintage tea cup on Saturday 8th October, so please make it easy for me to contact you. I'll put your name into this vintage cup bought for $10 at Savers in Frankston! Because this is an op shop tour afterall! I've pretty much op-shopped out the inner north of Melbourne so I would love to check out what southern Melbourne's op shops have to offer and free is always good! Haha I think Kimberley (above) and I must go to all the same op shops. I feel like I need a change of scenery too! Would love to be entered into the comp.